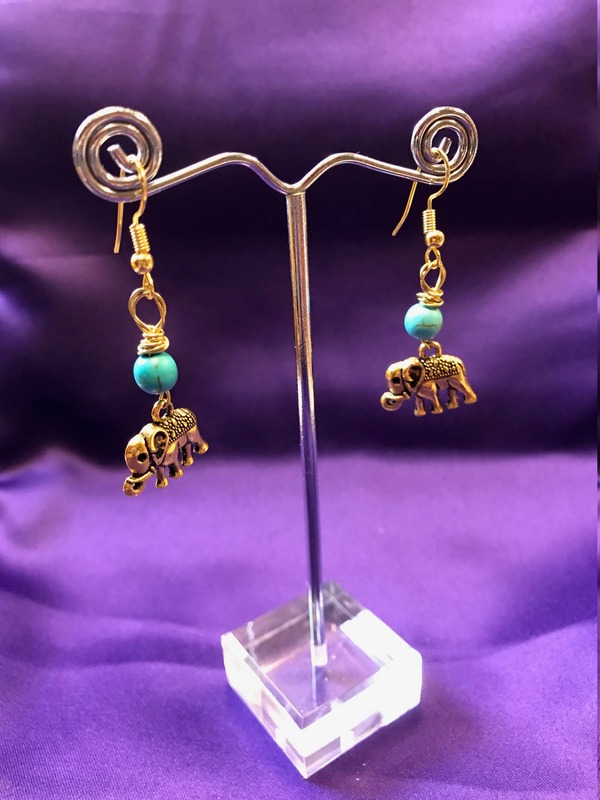 Lucky Elephant earrings made with gold or silver wire and embellished with crystal rose quartz, turquoise or amethyst. 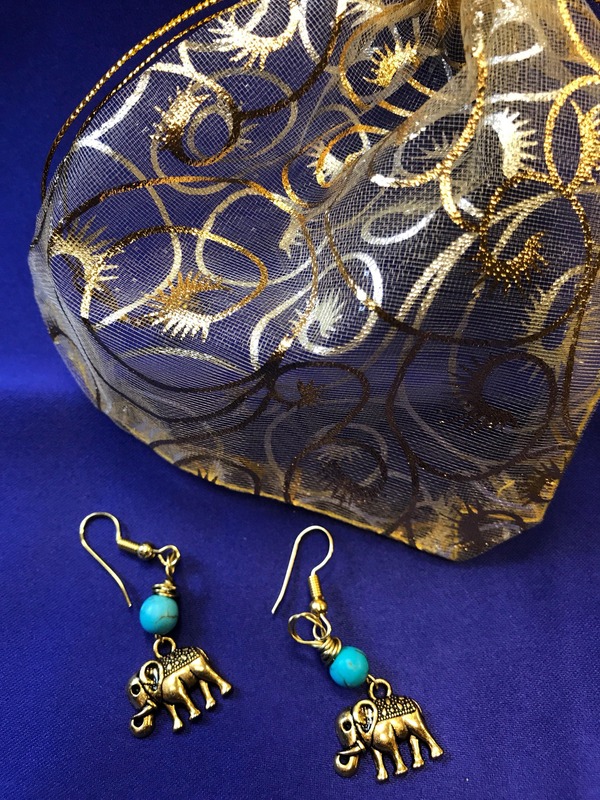 All our jewellery has to represent Africa in one way or another. 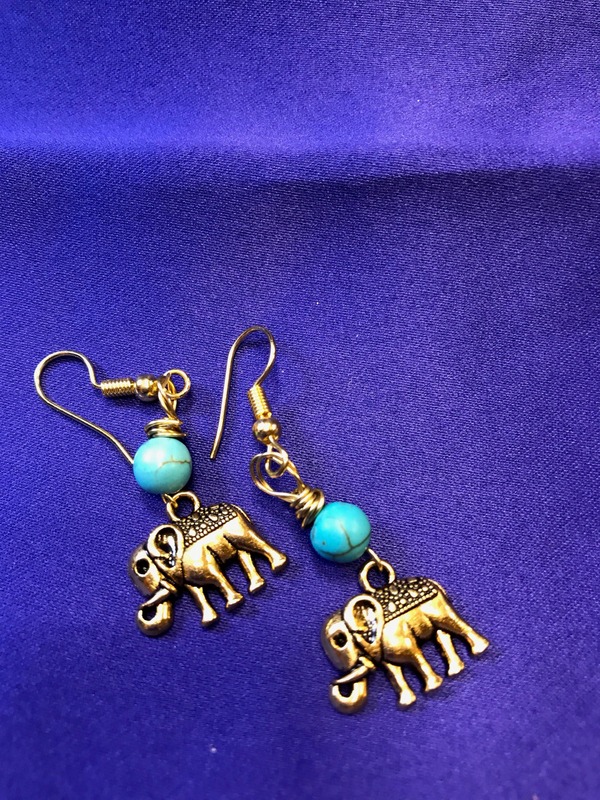 Elephants are infamous on the continent and are revered in many African and Western cultures. They represent strength and power, and are famed for their longevity and mental faculties. Community and cooperation are an integral part of the Elephant world and is one of the reasons they are collected and celebrated the world over. 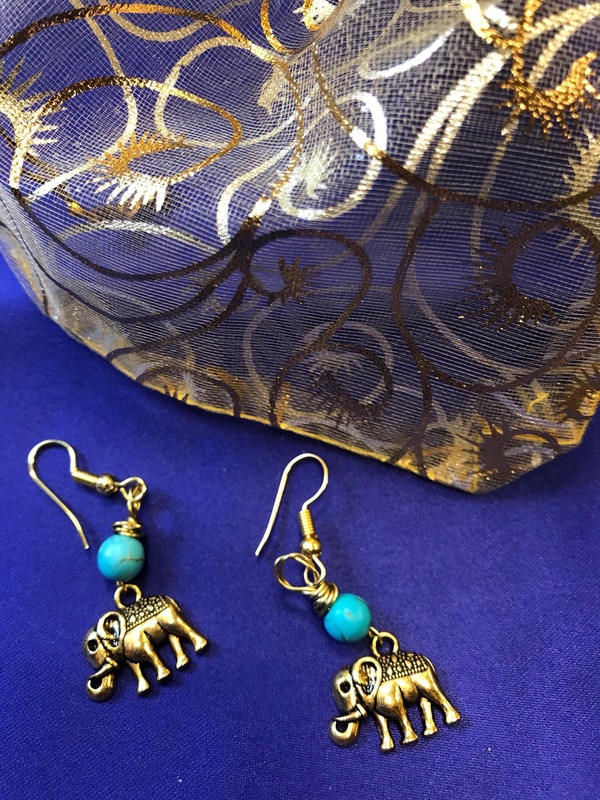 These Elephant earrings are handmade for Continent Clothing and are supposed to be as meaningful as they are beautiful. Each set is adorned with a different stone to suit your needs. Amethyst is believed to safeguard one from poison. Turquoise is one of the oldest stones known to man and is the stone of protection, strong and opaque, yet soothing to touch. Crystal Rose Quartz represents love, trust and harmony in relationships- the stone of feelings of peace.